The Government Affairs Industry Network (GAIN) hosted its first ever “speed training” workshop on Thursday, October 19th, focusing on the must-dos and don’ts of dealing with the media, how to professionally and effectively converse with reporters, and generally how to control the narrative through both positive and problematic press coverage. The event was the third of GAIN Mentors ‘D.C. Decorum’ workshop series, centered on the proper – yet distinctive – methods of conduct sure to set you apart from the crowd in Washington. GAIN was honored to have four amazing media professionals from a variety of communications backgrounds participate as our workshop instructors. Heather Wilson from Lyseon Group hosted Managing the Negative, exploring ways to avoid, and mitigate damage from, negative PR. Evan Nierman from Red Banyan hosted Best Practices for TV Interviews, teaching rules for proper clothing, eye contact, ignoring distractions and other essentials for TV interviews. Fred Frommer from Dewey Square Group hosted How to Engage with Media When You Have Something to Say,educating attendees on how to wisely choose reporters/publications and make a simple message newsworthy. Dan Rene from Levick hosted Best Practices for GR professionals Who Engage with the Media, covering the true meaning of terms like off the record, on background, and declining to comment and what to know before agreeing to an interview. GAIN would like to extend a special thank you to Levick for generously hosting us AND teaching a workshop and to Unfoldfor being the official sponsor of GAIN Mentors. 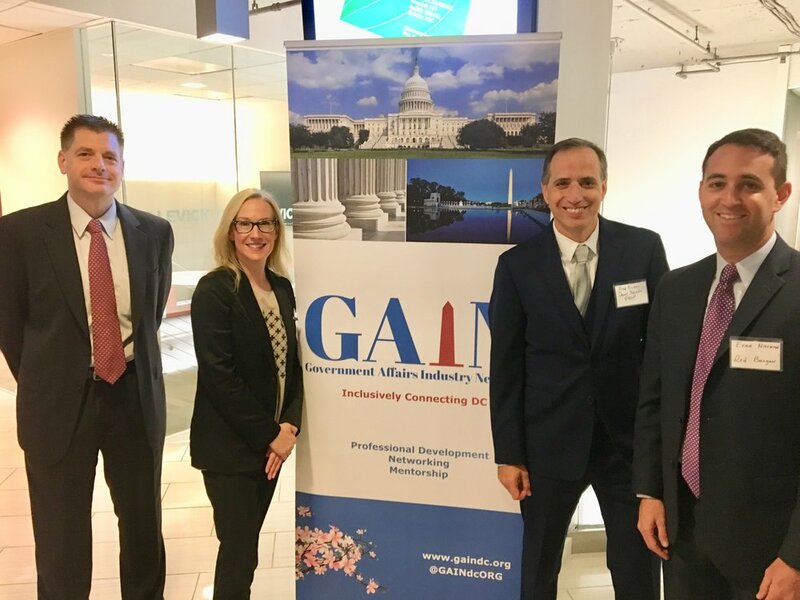 Please join GAIN for our next event, “How to Make it in DC: Navigating the DC Job Market” on October 27th at Cannon House Office Building Room 121.